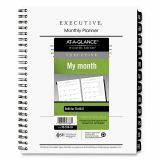 AT-A-GLANCE Executive Monthly Planner Refill, 6 5/8 x 8 3/4, White, 2019 - Monthly planner refill is designed for the At-A-Glance Executive Monthly Flex Large Planner 70-N547. Dated planning pages range 12 months from January to December. 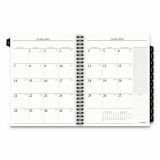 Tabbed, two-page-per-month spreads feature unruled daily blocks, Sunday-through-Saturday scheduling, chart for prioritized activities, ruled notes column, count of days/days remaining, holidays, and past and future months reference. 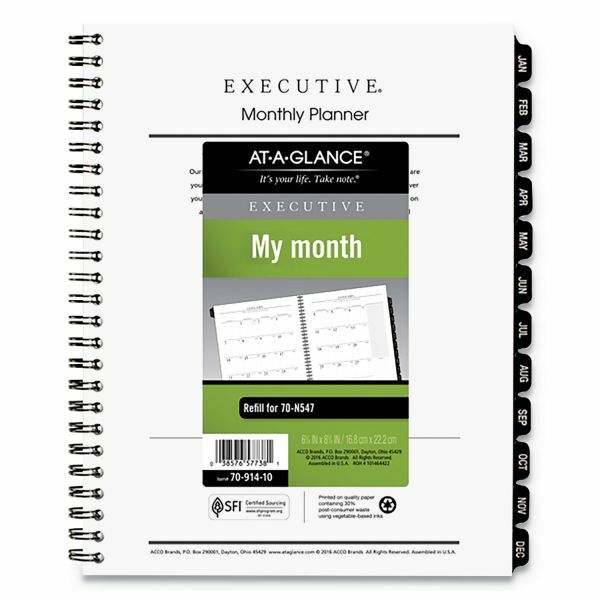 Wirebound planner refill also includes three pages of ruled notes space. Mylar® is a DuPont® registered trademark.